This is our review of the BLOC hotel at London Gatwick Airport’s South Terminal. We will be having a bit of a Gatwick South phase on Head for Points over the next week or so, as I get around to telling you how I found my trip to New York in Norwegian’s Premium Cabin. You’ll also see what Rob made of the No 1 Lounge in Gatwick South which I looked at last year. 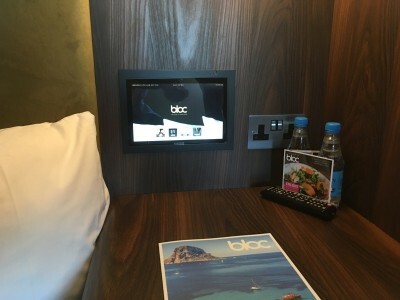 As we knew all this coverage was coming up, we were interested when reader Graham offered us a review of the BLOC hotel inside London Gatwick’s South Terminal. It has been on our ‘to do’ list for a while. 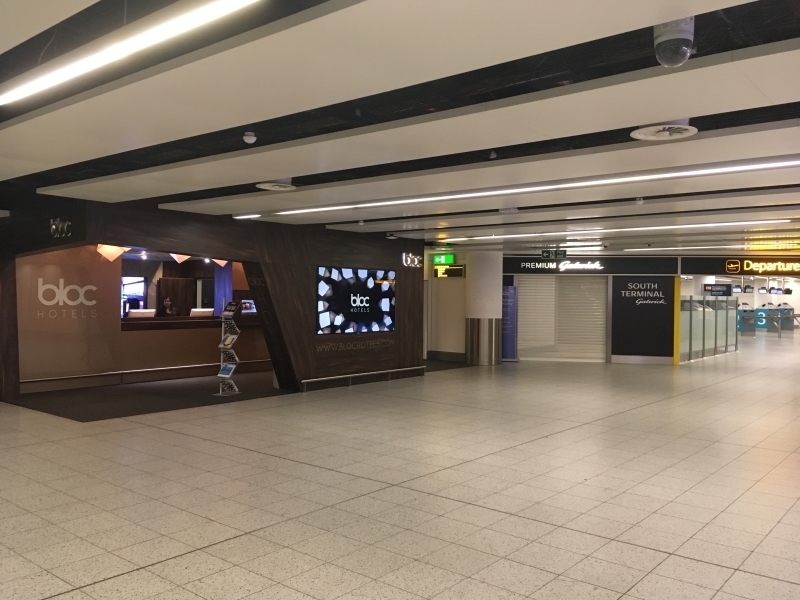 We usually politely turn down such offers, but as the BLOC Hotel is inside the terminal itself – landside, directly next to security screening – and therefore an interesting choice for early and late night flights, we thought it would be great to find out a bit more. Because it is landside, it is also suitable if you are flying from Gatwick North as the monorail is only about two minutes walk away. As usual, we have edited Graham’s article in places and any errors are probably ours! 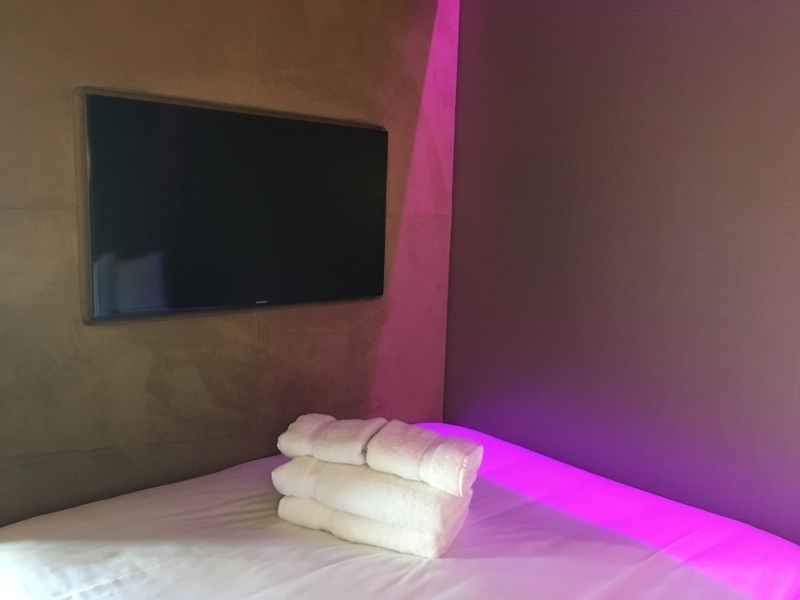 “Travelling on an early morning British Airways flight to Dubrovnik last week, rather than set off at an unearthly hour to travel to Gatwick, my partner and I decided to try the BLOC Hotel at Gatwick’s South Terminal. Opened in 2014, the hotel consists of 245 rooms over four floors, ranging from a basic 97 square foot room right up to a VIP double room with 237 square feet of space. There is also a ‘Runway Suite’ complete with lounge and kitchenette and panoramic views of the runway. Importantly, if you book the basic room, you may be in for a surprise – namely, that these rooms have no windows at all! We opted for a standard double room which BLOC refer to as a Vista double room. The key USP with the BLOC hotel at Gatwick is the location. It would be difficult to find a hotel closer to the departure gates than this! Technically, the entrance to the hotel is located on the 3rd floor of the South Terminal, however as floor zero is restricted to authorised staff only, the entrance and reception are effectively on the 2nd floor immediately next to departures and security. I timed the walk from the hotel reception/lobby to the Gatwick Premium / Fast Track boarding pass readers and it came in at a very impressive 15 seconds. 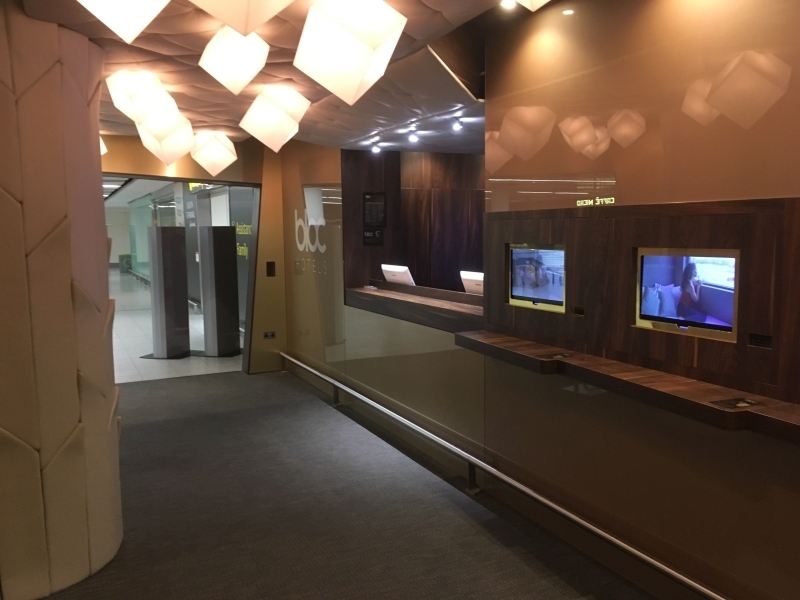 If you take advantage of BA’s twilight check in service (as we did), you can literally stroll out of the hotel and be in the impressive new BA lounge within minutes. The hotel check in was very efficient and took less than one minute, however as this hotel has no bar or restaurants, there is no need for staff to take a credit card to authorise any extras. 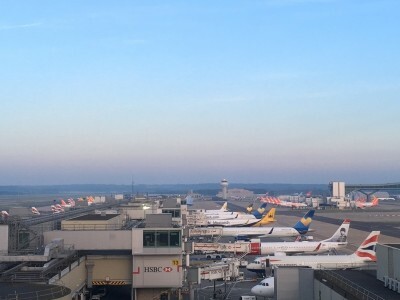 I had asked for a room with a runway view and the hotel had honoured this request by providing us with a room on the 5th floor at the very end of the building overlooking the apron. The view from our room is not actually dissimilar to those from the BA lounge. Our room consisted of a small entrance lobby, with a clothes rail with four hangers and space for storing luggage, a compact all-in-one bathroom/wet room with shower and a double bed only accessible from one side. There was no desk in this room though I understand that desks come as standard in some of the other rooms. 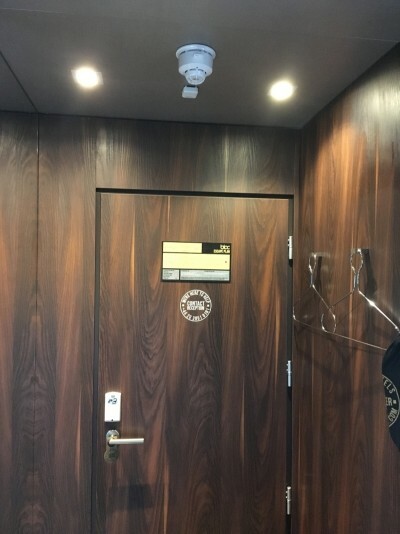 The room, like all of the hotel, is finished in dark wood panelling. There was also additional luggage storage space near the window of the room, however the space is not conducive to storing a large suitcase flat so that you can fully open it. Luggage stands would therefore be a welcome addition. Unfortunately, it was difficult to photograph a true representation of the size of the room due to an abundance of mirrors. However, whilst the room was compact, it was certainly not claustrophobic. The bed was not only more comfortable than I thought it would be, it was also exceptionally long. I am 6 foot tall and there was a good foot and a half of unused bed length wise. The bedding is of a good standard with Egyptian cotton sheets and a duvet. At the end of the bed there is also a 32″ Samsung television. Due to it being a swelteringly hot day, I was concerned that the room may be stiflingly hot, but the air-conditioning was actually very effective indeed. The air-conditioning is controlled by a Samsung tablet located at the side of the bed which amongst other things also controls the lights and electronic blind. You can also check out from this tablet and deposit your key in the quick drop box at the hotel reception. Two bottles of complimentary mineral water are provided in the room, though it would have been nice to have had an actual glass rather than a plastic disposable one. A hairdryer is also provided in the room. Wi-Fi was very easy to access and the signal was easily strong enough to stream content. Travel adapters and corkscrews are available from reception and there are also ironing facilities (our floor had a reasonably sized room with two ironing boards and irons along the corridor). Noise-wise, BLOC has done a very good job at soundproofing the rooms. I heard no noise from adjacent rooms and there is only a very faint rumble from departing aircraft. 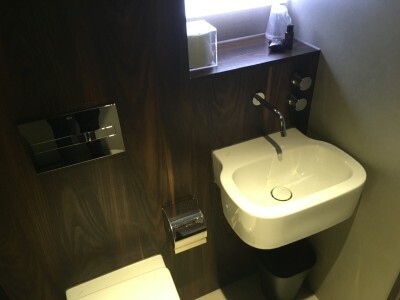 The bathroom is an all-in-one wet room with shower, sink and toilet with good quality fittings. The water pressure for the shower was more than adequate. Decent quality towels are also provided. One point to note is that once you have showered, the floor can become quite slippery if you enter the bathroom shortly afterwards. 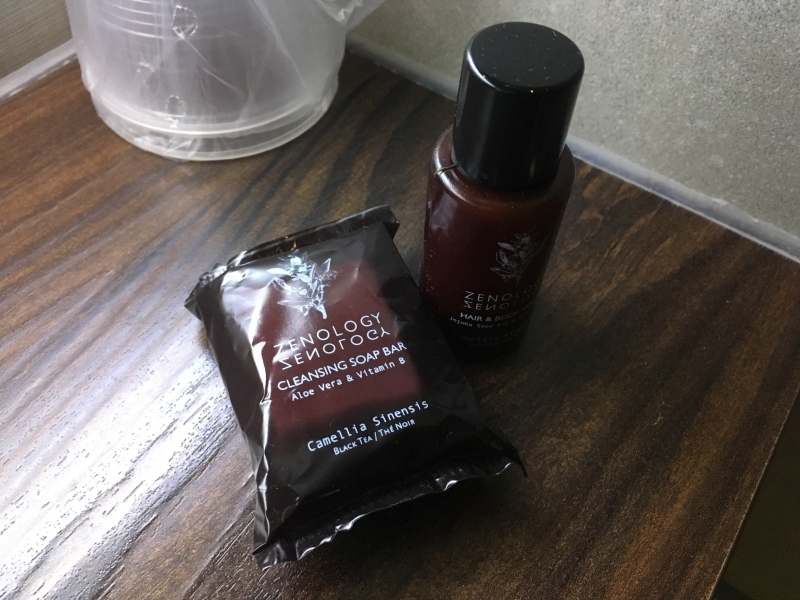 Zenology soap and body wash are provided by the hotel although it would be difficult to make the body wash stretch to more than one person! BLOC Hotels is not part of any loyalty program. However you can earn 12% of your spend back in CashPoints with Norwegian Airlines via this website. If you don’t collect CashPoints, you can book via Hotels.com here and collect nights towards your free Hotels.com Rewards stay after 10 nights. You can obviously also book on the BLOC Hotels website here. I rather liked this hotel. 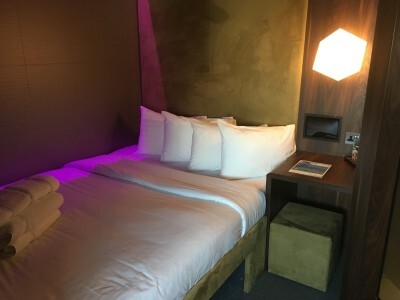 Of course, there are more opulent accommodation offerings at Gatwick – here is Anika’s review of the Hampton by Hilton at Gatwick North – but if you are looking for a convenient hotel within seconds of security then this ticks all the boxes. The hotel is simple but what it does, it does well and has an element of Scandinavian simplicity and chic to it. Our room cost £92 and considering the location and convenience (not to mention the novelty of waking up to a view of 737s and Airbus A320 series at the end of your bed – assuming you have not opted for a windowless room! ), I would happily use this hotel again for an early morning departure. Through hotels.com (using the discount code SPLASH) this comes down to £70.90 which makes BLOC a very viable alternative even though I live in S London. My Gatwick usually has a 10% discount code for BLOC. Great review, thanks! We’re heading down next February from Scotland for a late morning flight the next day. Bloc is currently £76 for a room with a window vs £29.50 for a saver room at Premier Inn North Terminal (all have windows). I’m not sure I can justify another £47 to give us an extra 20 minutes in the lounge! Def a plan. Premiere inn at that price is a steal. We would do that too even though we are only supposed to be 45 mins from LGW. Last time it took just under two hours, so only made the gate with seconds to spare. Just not worth risking the roads nor the train these days before an early morning flight. But BLOC worth a look at, if only to sleep in! We’ve tried the Bloc but the Premier Inn at North terminal is a bargain and with better rooms. It might not be in the terminal building but is right next door and a 1 minute walk. We usually book a package with Gatwick Airport valet parking – it has always been cheaper than booking separately, and BLOC offer these packages on their website. If you sign up for MyGatwick, there’s usually a 10% off code for BLOC on there too if other sites like Hotels.com do not have competitive pricing for your dates. Fantastic review, thanks Graham. I have stayed there and have to agree. You can get a super nights sleep and the location next to priority security is so handy for your BA lounge. 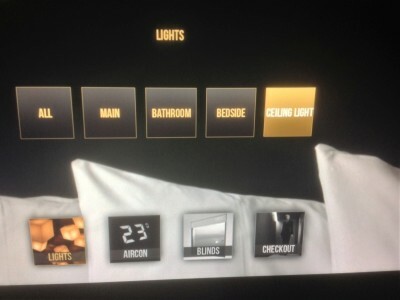 Personally I like the windowless rooms – quieter and darker so better chance of sleep! I don’t mind a windowless room, generally. However, I’d love that view of the airport. Handy, thanks. I’m looking to book a room for a night before I go away in September. Will have a look later. Seems very expensive for what sounds a bit close to a ‘pod’ hotel. 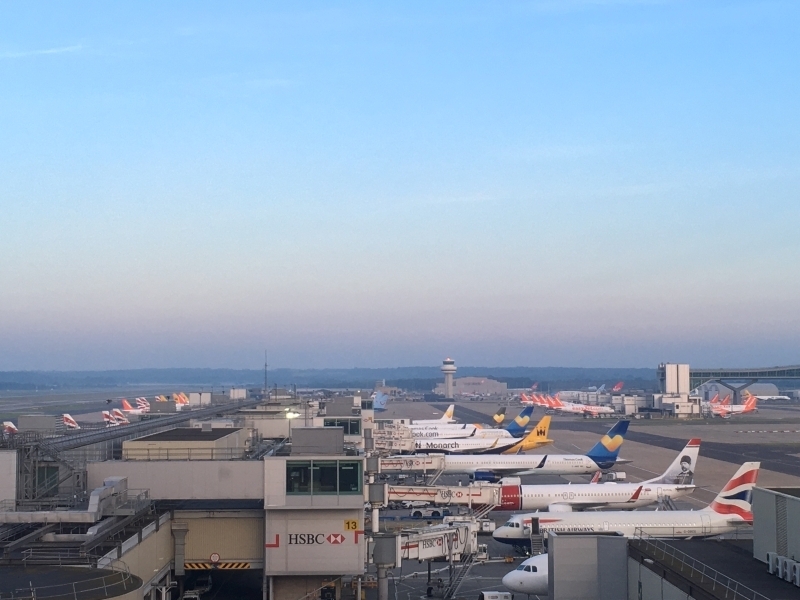 However – throw in some short notice dates for this Sunday, for example – if you have an early LGW departure on the Monday. BTW – I am in no way saying Bloc is cheaper at the advance basic rates. However, as the above illustrates, why disregard it? I did the review and have been to both – and would happily go back to both. We stayed here prior to an early Jersey flight. It was fine but I’d effectively paid £30 due to a £50 Amex statement credit earlier in the year. For our trip to Malta later this year the choice was bloc for £85 or Premier Inn North for £35. The latter was a no brainier for me. When we stayed here I was feeling flush and spent a whole fiver to get a window. Gatwick does not have a monorail!